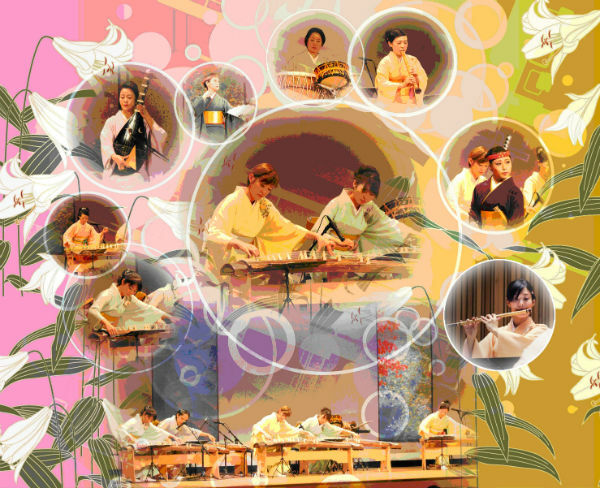 Sakurakomachi Japanese Music and Dance Group is an all-female orchestra that plays traditional Japanese music and folk songs with instruments such as koto, shamisen, shinobue and wadaiko. As an orchestra consisting entirely of women from Japan, we strive to create attractive and inspirational art. We are active internationally and perform all over the world every year.